The garden is winding down and there is nothing at the moment that would lend itself for a quick and easy vegan potluck dish. So for phoebe’s pure food soiree tonight, I made two batches of Brown Rice Farina Rice Crackers. 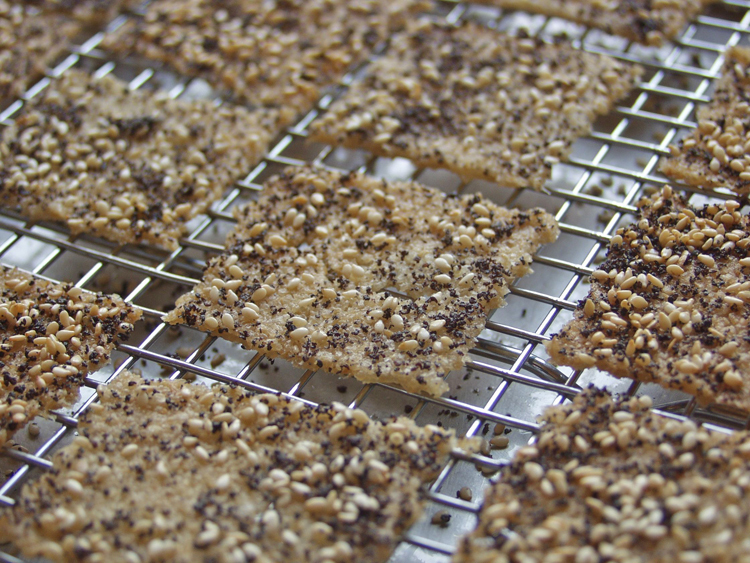 I came up with the recipe when I had too much brown rice farina in the pantry, and was looking for a less salty and low-cost alternative to high-quality whole-wheat crackers from the grocery store. These crackers are gluten-free. And paperless? Well, at the potluck + guest speaker event, everybody brings along a copy of their recipe. In the past I usually had either too many copies or too few, therefore this time I am going paperless, and whoever would like the recipe can find it here. The potluck is an hour away but it is well worth the drive. Phoebe Canakis is a real mover and shaker about eating local, seasonal, organic wholesome foods. 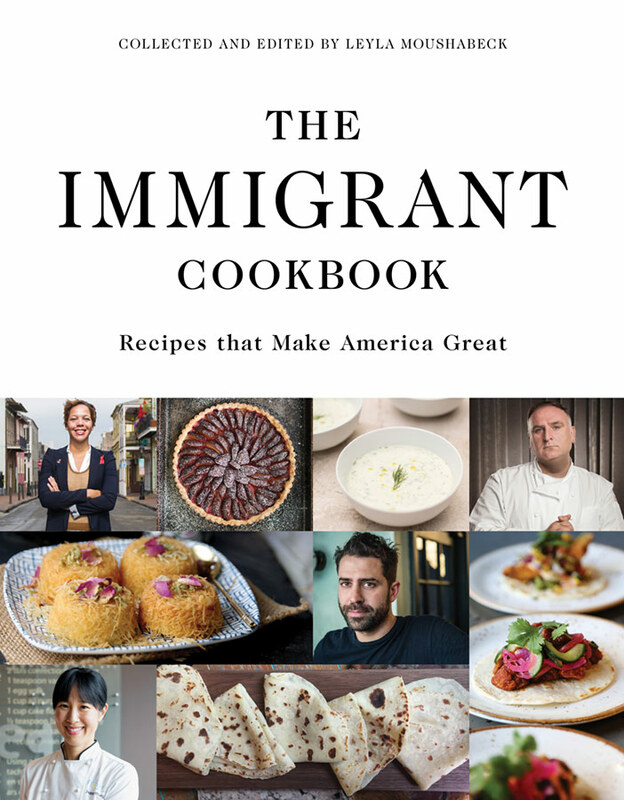 I met her in the spring of 2012 at a mozzarella-making class she hosted for the food website food 52. Yep, the Internet is not only good for dating, you can make new friends too! Phoebe always has so many exciting things going on that I sometimes feel I can barely stay up to date. What I know is that the fall issue of her ad-free online magazine is coming out soon. affordable, and sustainable food, we’ll be together at Roaring Brook Market in Lancaster, PA, to show how to cook easy, healthy dishes with local and seasonal foods (for details see here). 1. Preheat the oven to 425 degrees F. Line a large baking sheet or jellyroll pan with parchment paper or a baking mat. 2. Mix all ingredients in a small saucepan. Bring to a boil over medium heat, stirring constantly. Cook until it forms a thick paste that detaches from the bottom of the pan. 3. Using a greased rubber spatula, spread the mix onto the prepared baking sheet as thinly and evenly as possible, and patch up any tears. 4. Sprinkle with seeds etc. of your choice. Using a small pastry wheel, cut into cracker-size squares or rectangles. 5. Bake on the medium rack in the preheated oven for 30 minutes, or until lightly browned and crisp. Leave crackers on the baking sheet until cool enough to handle, then break them apart (usually they separate on their own during baking) and cool completely on a wire rack. Store in an airtight container. I absolutely loved these crackers! They are amazingly delicious! I was SO pleasantly surprised to realize they are made with the brown rice cereal my husband eats for breakfast! FABULOUS recipe! Your cracker look gorgeous, so tiny, so rectangular, so exactly cut out… and I am sure that they are really tasty, too…. Nadia, brown rice farina is a product I’d never even heard of, but a quick Internet search told me that Bob’s Red Mill (of Oregon) makes it, so I can surely find it locally. I will have to try making these handsome crackers so I can recommend the recipe to my gluten-shunning friends.